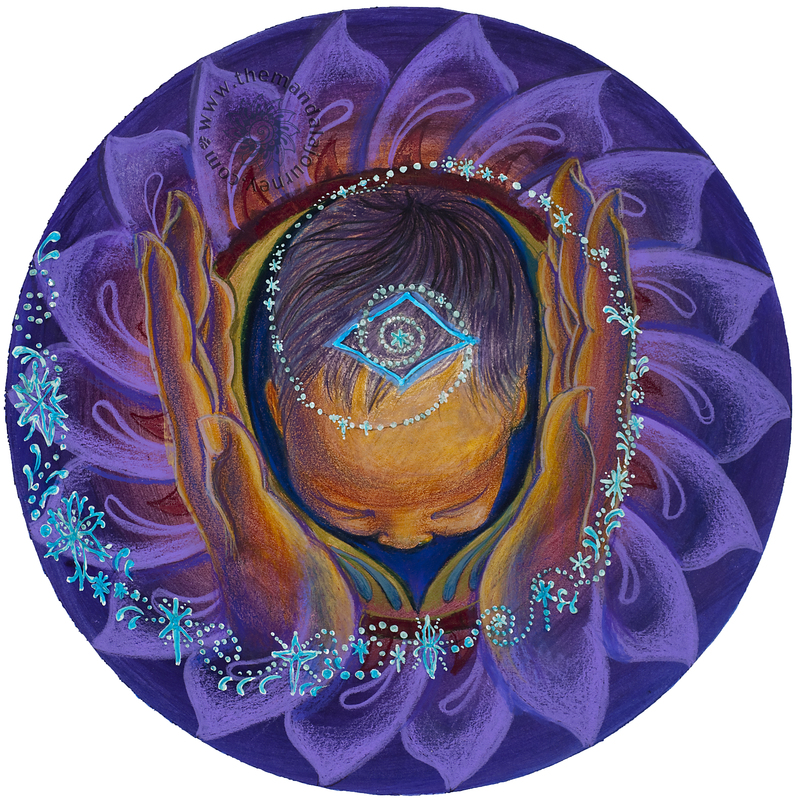 This piece was made for Jill R. Johnson, a home birth midwife. Her midwifery practice Into These Hands inspired both the piece and the title. Thank you to Jill and all the wonderful midwives benefiting women across the world! Oh Amy! It’s even better than I imagined! We’ll be seeing each other again soon. Happy Holidays and God Bless you for sharing your wonderful talent! I remember! Your daughter spoke very highly of you. Happy early Mother’s Day! 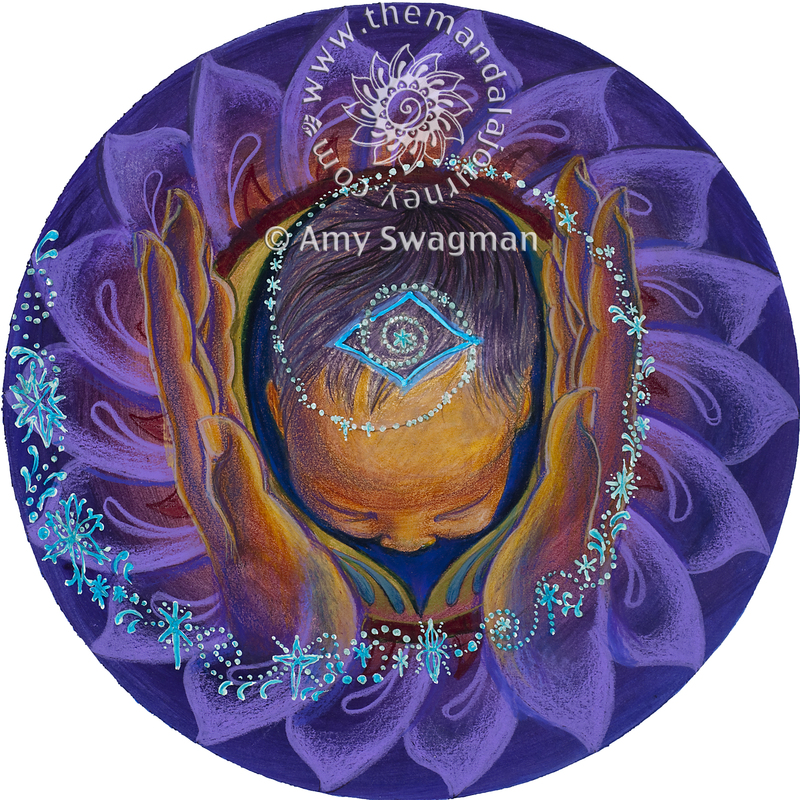 I bought an 8×8 print for my Midwife, I cant wait to receive it to gift it to her! Sorry about that, I do try and check my prints before I ship them. When you mat it to frame it should be fine. Or you could frame it in a 12×12 frame (they sell them for $5 at Hobby Lobby on sale) and then you’d just trim the print/corner and not mat it. This evening I found a gorgeous purple matte that complements the art well, but still shows the yellow. Its the lower right hand corner directly under the art in the white area, just below your signature, unfortunately cannot crop it that short. Now I need to find a good frame.